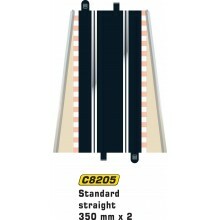 Standard Straight 350mm Single (C8205) Push-fit Scalextric track for quick and easy circuit building. 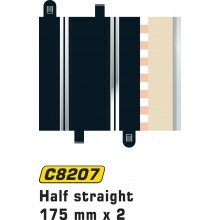 Connect modern Scalextric track to original track (which has ring-shaped connectors) using the C8222 Converter Straight. 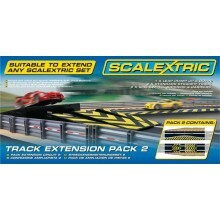 Half Straight 175mm Single Product Code: C8207 Push-fit Scalextric track for quick and easy circuit building. 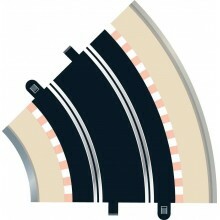 Connect modern Scalextric track to original track (which has ring-shaped connectors) using the C8222 Converter Straight. 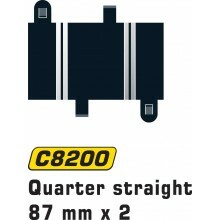 Quarter Straight 87 mm x 2 (C8200) 2 x 87mm Quarter Straights Push-fit Scalextric track for quick and easy circuit building. 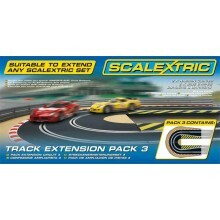 Standard Straight 350mm x 2 (C8205) Push-fit Scalextric track for quick and easy circuit building. 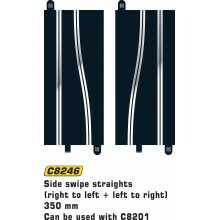 Connect modern Scalextric track to original track (which has ring-shaped connectors) using the C8222 Converter Straight. 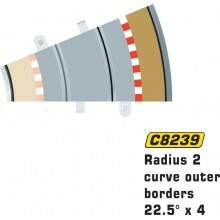 Radius 2 Curve 45° x 2 (C8206) Push-fit Scalextric track for quick and easy circuit building. 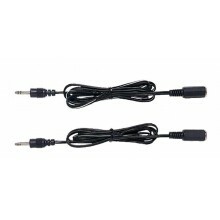 Connect modern Scalextric track to original track (which has ring-shaped connectors) using the C8222 Converter Straight.